Improved Deluxe Model! Comes complete with black storage carry bag and removable ankle resistance bars. 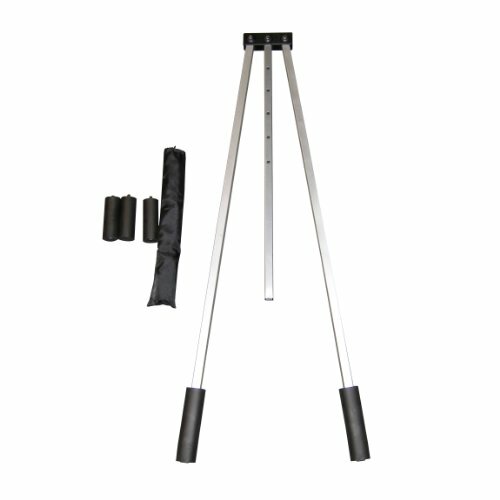 Improved version of a simple and rugged leg stretcher that folds up for compact storage. Much superior to cheap PVC plastic stretchers! Heavy-duty steel construction with foam rubber padded ankle supports. Fully adjustable to provide a safe, effective stretch for beginners to advanced users. Helps develop you maximum stretch while reducing the likelihood of injuries. Black. Weight: under 3 lbs. Imported. Comes complete with black storage carry bag and removable ankle resistance bars. Improved version of a simple and rugged leg stretcher that folds up for compact storage. If you have any questions about this product by I & I Sports, contact us by completing and submitting the form below. If you are looking for a specif part number, please include it with your message.